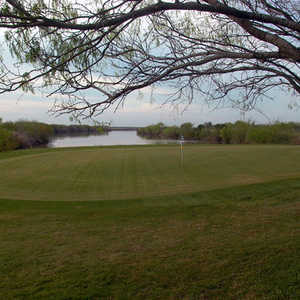 The first "daily fee" course built in the Rio Grande Valley, Tierra Santa opened in 1997 as the centerpiece of a residential community. This challenging 18-hole track was designed by Jeff Brauer, who consulted with PGA Tour pro Steve Elkington to sculpt the flat farmland into undulating fairways that wind through a total of 14 lakes. 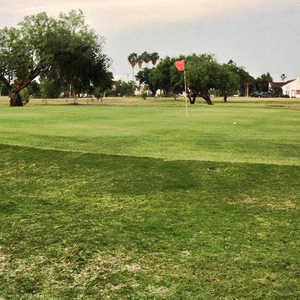 This is the place to practice your short game before heading to Tierra Santa. 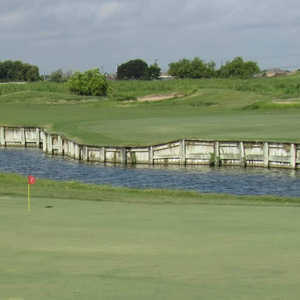 The design features five par 3s and two legitimate par 4s, plus two "pseudo" par 4s that are actually par 3s.